Tura New Music is a Western Australian institution that has, over its 30-year-history, literally transformed the soundscape in the West, by promoting the new, the odd and the experimental, and by bringing in national and international acts and events of the highest calibre. In this article, Josten Myburgh, curator of Tura's iMprov and Church Series, gives a little snapshot of some current, exciting developments - for more information about Tura's programs and the history of the organisation, please see the website. Next up in Tura's Scale Variable series, ensemble Intercurrent on 29 August. Over its 30-year-history, led by the impassioned Tos Mahoney, Tura New Music has moved from an organisation championing the most radical and 'other' of music approaches to one that supports and showcases work from the whole gamut of new and contemporary musical forms in Western Australia - be it new classical, sound design, installation-based work, improvised or noise music, or anything in-between (or perhaps beyond). In some cities, you might find one or multiple organisations dedicated to each of these; in Perth, Tura is capably working with and for them all. 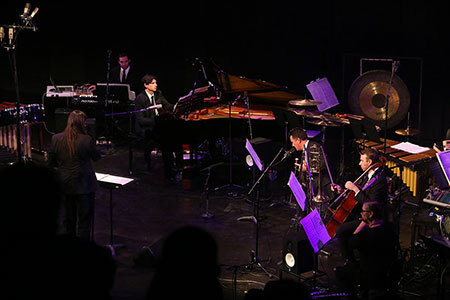 That the compositions of Lachlan Skipworth, the large ensemble works of UK free jazz maverick Keith Tippett, the improvised vocalisations of Guylaine Cosseron and the sensory overload of digital noise-maker Kynan Tan can all appear within weeks of each other in Tura's program, is a testament to their diverse reach and attention as an organisation. In 2014, I was asked to be involved with Tura as an emerging curator, and I now continue my work with them as the organiser of their smaller-scale, grassroots programs surrounding improvised and experimental musics. I feel excited about the strength of the community around new and unconventional sound in Western Australia, especially given the intensity of activity in the last couple of years. In this short article, I will give an overview of this community as I see it now, and share some brief thoughts about Tura's roles in its possible future. I'm sure I'll unavoidably speak with some bias, but I hope this reads more with the unfettered enthusiasm I strive to have around all kinds of experimental projects in Perth, than it does with any kind of shallowness or self-congratulation. Growing up outside of the city, on Mandjoogoordap Bindjareb Noongar boodja, I had no exposure to Tura's operations until I began studies in Composition and Music Technology at the Western Australian Academy of Performing Arts (though I should stress it was not because they were never around in that part of the world). The first Tura shows that I remember were not long ago at all -in 2013, Decibel's WA Composers Project and a Club Zho set by 'Dans les arbres', a group of French and Norwegian free improvisers. Both shows I loved, though the Dans les arbres set was particularly transformative for me, as someone who was about to head down a trajectory of embracing free improvised music quite fervently. From there, I came to see attending a Tura event as going to see something unexpected, going to be surprised. At Club Zho I wandered into close quarters with Alan Lamb gently working his way around his chaotic wire feedback instruments, seemingly no less gleefully surprised at the unpredictable results than he might have been on his first day experimenting with them. I experienced an almost total relief from the physical symptoms of my anxiety whilst singing with Alice Hui-Sheng Chang in the resonant main gallery of PICA during the Totally Huge New Music Festival in 2015 (and even made a new best friend through that experience). I was not the only person in the room moved to tears after an earth-shattering performance from the avant-folk singer Richard Dawson for the 2015 Liquid Architecture Perth, hosted by Tura. I had my ears totally reset after an intensely focused and nuanced performance of Eliane Radigue's OCCAM Hexa II by Decibel, as part of the Scale Variable series. And I witnessed the Australian Art Orchestra's amazing collaboration with the Young Wagilak Songmen as part of Tura's regional touring program - a performance that still strikes me as a huge step in the right direction towards meaningful cultural exchange in music: something very necessary, especially given Australian music's grim history of appropriation and misrepresentation of the culture of First Nations people. Perhaps because of how powerfully I felt bound to exploratory music in all its possible forms once I became involved, I see organisations like Tura as having a role of fostering a similar kind of enthusiasm in audiences for anything that is asking the question 'what else is (sonically) possible?' The radical nature of this music creates the possibility of transformative encounters for audiences - that I myself have experienced multiple of these through concerts of this nature has led me to believe in the importance of striving to make space for such encounters to occur in my own curation, and to continue believing in this music's potential to reveal other worlds. Tura is, increasingly, in no shortage of artists to support and represent. In the last few years, Perth has suddenly become a new home to three established and capable composers: Dominik Karski, Dobromila Jaskot & Pedro Alvarez, all of whose work has found an outlet in the new ensemble Soundstorm, giving voice to a style of contemporary music whose incidence in Perth seemed relatively peripheral up until now. An internationally recognised cohort of talent in the experimental electronic scene has emerged, with Rory Glacken (Tourist Kid), Lana Rothnie, Michael Hewson-Bower (Atripat) and Michael Terren just four amongst an unusually large assemblage of forward-thinking young artists whose work feels equally at home in close-listening contexts as it would (and does) remixed at nightclubs and warehouse parties. Tura's iMprov program, with monthly workshops and, since the end of last year, concerts, has been the catalyst for a wealth of new concert series, ensembles and a record label (Tone List) to emerge around free jazz and improvisation in the last two years. With artists as part of this scene now recording, releasing music, touring and receiving international festival invitations, the momentum in this community seems tremendous: Dan O'Connor and Sage Pbbbt are just two of many key members of a large group of experimenters. Young composers such as Alex Turley, Olivia Davies and Stephen de Filippo have all undertaken a number of prestigious emerging artist programs and are writing promising and exciting new work. Scale Variable series in 2016. All of this stands alongside the musicians who have called Perth their home for quite some time: the members of Decibel (sans a recently migrated Cat Hope), the staff at the Western Australian Academy of Performing Arts and the University of Western Australia, and a number of independent artists who continue to emerge from their studios for interesting projects when an interesting opportunity arises. For a while it seemed unlikely that young artists would stick around in Perth for long after graduating or reaching a certain point in their own development, with many migrating to Melbourne or European cities like Berlin. But, at least right now, being young in Perth feels exciting, with many possibilities still unexplored. 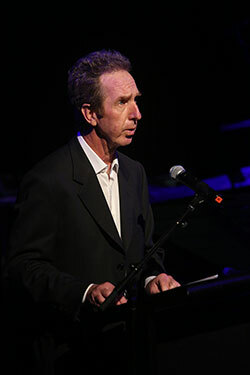 Tura can't claim credit for all of the experimental happenings in Western Australia, but their streamlined programs around chamber music and improvised music in particular have resulted in rich communities existing around both of these modes of practice, and, fortunately, artists increasingly find themselves involved between both (and more) musical contexts. I see it as a key step to find prominent places for emerging improvisers, producers and other un-categorisable radicals in Tura's flagship programs in future, and perhaps, also, to find other more humble contexts for chamber music to appear. It seems to me that, as this increasingly multi-faceted scene with more and more established performers of all genres begins blooming into existence and maturing in voice, there is an opportunity to support the music scene's growth in a way that challenges and asks questions of performers and audiences alike. Perhaps the programming focus will evolve further and something truly distinctive will emerge from the unexpected crossing of different perspectives: after all, both artists (across all genres) and audiences share a common thread of being somehow curious about the meaning and possibilities of sound and listening, no matter what medium they use to explore this curiosity, or what historical trajectory they feel most closely attached to. Past Club Zho events, the Audible Edge mini-festival earlier this year, and other non-Tura events, such as Tone List's label launch and the Success gallery's wide-ranging and eclectic performance program, have proved that there is an audience out there for pluralistic and challenging programs where chamber music, experimental ambient, outsider punk, free jazz, conceptual pop and interdisciplinary work sit side-by-side and blur into one another. These kinds of programs seem likely to offer the kind of surprise that I feel draws many to Tura concerts in the first place, and the risks they require at all levels seems to more closely reflect the risks that are often taken in the music itself. There's a balance to be held between a more 'focused' and more 'experimental' programming, and pros and cons of each, but I'm particularly excited to see and experiment with more of the latter as Western Australia's broader music community continues to grow in size and create increasingly singular work. It's certain that Tura will continue to have a great selection of artists to care for, and that transformative sonic experiences continue to be more and more possible in this city. Josten Myburgh (b. 1994) is a composer and performer based in Perth, Western Australia, and the curator of Tura New Music’s iMprov and Church Series programs. He studied with Antoine Beuger, Lindsay Vickery & Stuart James. He has performed at the AudioArt Festival (Krakow), Festival Cable#8 (Nantes), the Totally Huge New Music Festival (Perth), Tilde New Music & Sound Art (Melbourne), Klangraum Festival (Düsseldorf), 101 Scelsi/Cage Festival (Palermo) and at the International Computer Music Conference. He is one part of the artistic direction and organisation of the Perth-based label Tone List. He is undertaking PhD research at WAAPA, into how music and community organisation around music can reflect radical philosophies of hopefulness and vulnerability.